James ‘Tex’ Callaghan has been the Galway kit man for as long as I can remember. He is nearly part of the furniture at this stage. He even has his own van with ‘Tex’ wrote on the side of it and all. 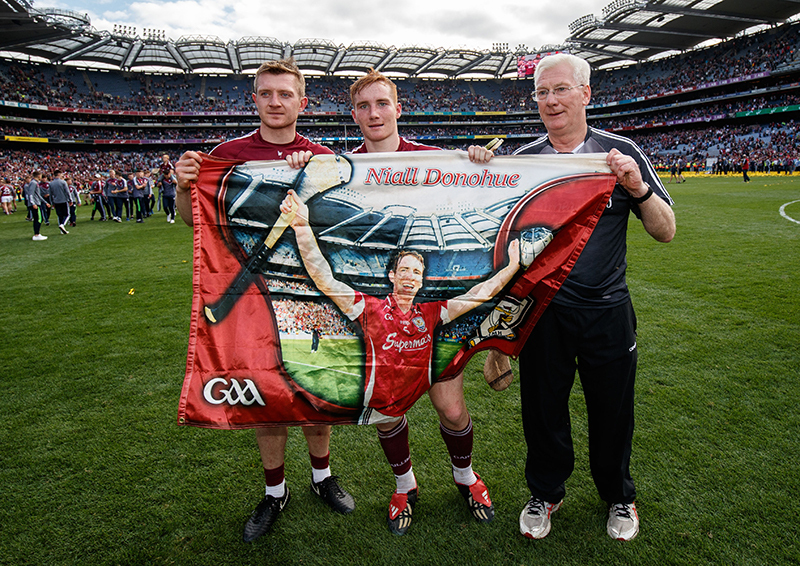 Not long after my cousin Niall Donohue passed away in October 2013, Tex quietly got hold of a maroon flag showing Niall celebrating Galway’s ground-breaking Leinster title in 2012. Don’t think he told anyone, just buried the flag in our kit bag, having decided to leave it there under all the gear until the All-Ireland was won. Tex found me on the pitch last September. I knew nothing about the flag, but from the way he came over I knew it was something to do with Niall. That was a special moment because it meant we could honour his memory on the victory lap of Croke Park. It meant other family members, Galway people and the entire country could see Niall on that victorious All-Ireland final day we’d all been waiting for and striving towards for so long. It’s never going to be easy, but I can talk about Niall’s suicide now. And I will keep talking about his life. 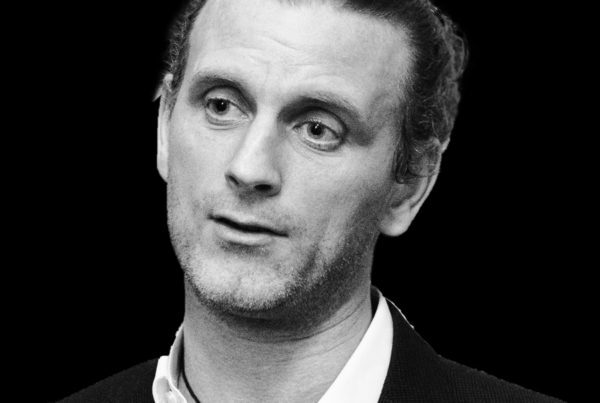 I’m a teacher, well, I’m doing my masters at NUIG, and his passing motivated me to delve deeper into mental health awareness. From that research came some form of clarity, a knowledge that talking about the problem outweighs the hurt or certainly goes some way to alleviating the stigma attached to suicide. If I am going to talk about mental health I must be able to speak about my own experiences so other people are comfortable opening up as well. The over-riding message is to express our emotions, and if you are not feeling good to know you are not the only one being pulled down into this struggle. There are plenty of people in the same situation and talking does help. I want to eradicate that feeling of aloneness. Niall’s story can be used as a platform to go at least some way to achieving that. People will forever remember David Burke’s speech; a long lost victorious Galway captain on the steps of the Hogan stand, having just lifted the Liam MacCarthy cup above his head, in a moment of complete jubilation, raises awareness about mental health on the biggest stage any GAA person could ever find themselves. David and Niall were very close friends from a young age, having played on the same teams all the way up along. David’s relationship with Niall played on his mind, and all our minds, leading up to the final so it was nice he got to pay tribute to his friend alongside the trophy they both came so agonisingly close to winning five years previous. David and Niall were out there for the 2012 final and replay. I was down the Davin end and remember Niall’s point out by the Hogan stand off his right side that put Galway seven points up with 28 minutes on the clock. We were full sure we were going to do it. Too good a game from a Galway perspective. Niall was fantastic that summer and nominated for an All Star. Just over a year later he was gone. Five more summers passed but we couldn’t help but feel the emotional pull. It was a very special feeling to win the 2017 All-Ireland but you are also thinking what might have been. What could have been for Niall. The night before the final David went up to Rakerin cemetery to leave two sliotars at his best friend’s grave, before going out and giving an exhibition in Croke Park, and rightfully being named man of the match. And then, with the speech, he put the subject of mental health into the consciousness of every person looking in from all over the world. Anyone tuning in to watch a major national sporting event heard what David had to say. On the day Galway hurling ended 29 years of hurt, the captain put the memory of Niall Donohoe right there among us all, and made sure his death was not for nothing. I say it again: We all have a responsibility to raise awareness around mental health, fight to eradicate the stigma that is attached to suicide and to address the silence that can follow far too often. David’s speech on the highest platform of them all shattered the silence. None of us want to lose another loved one in that way. The modern world of social media makes it easy to forget how important talking is – that’s why we did the video with Off The Ball and The Irish Times interview. 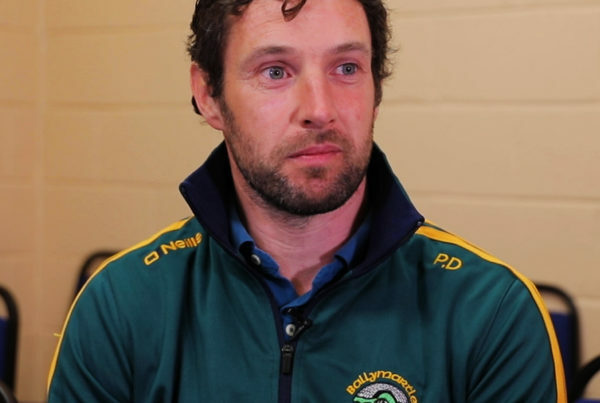 We want to speak to younger people, to highlight the importance of dealing with whatever issues come, be it by talking or looking to the brilliant work of Jigsaw.ie because inter-county players have influence. This is just one strong way such influence can be wielded. There’s always been plenty of hurling in our family. My mother is from Kilanena in Clare, while my father is from Kinvara which has produced figures such as the famous Gerry MacInerney. My mother’s nephew, Niall, was the first one of our generation to break through. After him, and before me, came Shane O’Donnell, my second cousin, who people will always remember for his arrival in the 2013 All-Ireland final. I was called into the Galway panel in January 2015. Age 18, it didn’t fit at the time as I was down studying in Limerick and didn’t have a car, and being fresh out of minor I wasn’t ready. So, I politely declined. It wasn’t about playing against men. I’d been doing that for Kinvara since I was 16. Of course, playing for my county was the dream. It just didn’t fit that winter. Wearing the Galway jersey was something I’d always aimed for, since the beginning, since I was five years old pucking around with friends, that was always the plan – get into that jersey. You don’t know how long it will last so you make the best of every moment. You live in every moment. It a huge honour for me personally to represent my county and wear that crest across my heart. Coming from south Galway all sports tried out but if you weren’t hurling it just didn’t seem right. Club performances kept going well so in April the call came once again from Anthony Cunningham. I went in and a few training matches went well, I ended up on the end of some moves, and Anthony called me aside on the Tuesday before the Cork match that Championship to tell me I was probably going to be playing. I was so young it didn’t faze me. Scored 1-2. The lack of experience helped, simply being happy to get the chance. But losing the All-Ireland final to Kilkenny that September ended my first season in the panel on a bittersweet note. It was almost two years after Niall took his own life, three years after he played in Galway’s previous All-Ireland final age 21. 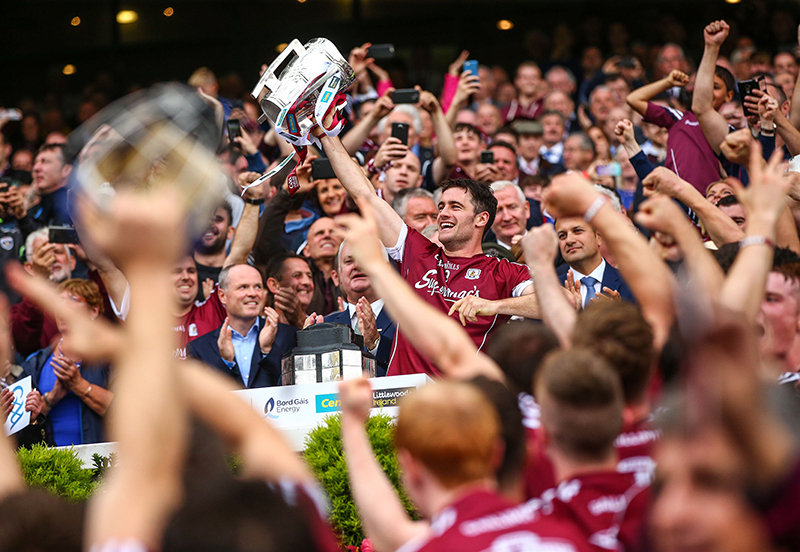 These are the days – the 2012 and 2015 finals – Galway people have had to swallow. The pain of defeat lingers. Until last year when we finally crossed the line. The 2015 experience helped in 2017 but it’s still an All-Ireland final. It’s still a unique occasion. You can’t take for granted that you will perform, you can’t just go out and hurl. Every little piece of preparation needs to be in place. What played on my mind was that it could be the last one I ever play in. Still only 20, I believed that and used it as motivation. The 82,000 people, ending the 29 years of hurt, all these enormous numbers slip into your mind, but they are of no use to my hurling. Sticking to the process allows us to put all those fears and concerns to one side. Niall did struggle with losing. He was very hard on himself, dissecting everything for weeks, even months after. This is hardly abnormal because the stakes are so high at the level of hurling he played. Obviously, I can relate. 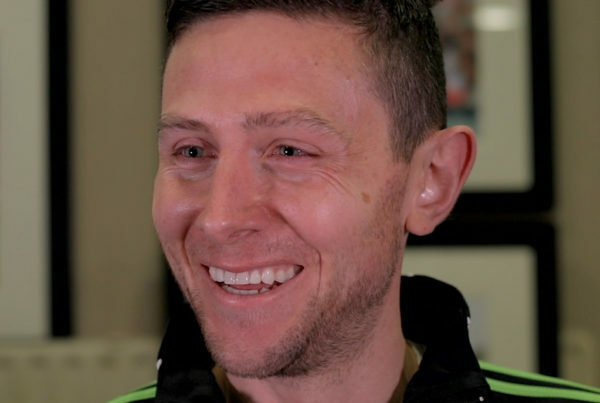 Limerick’s Shane Dowling spoke about it recently as well, about coping, about avoiding another winter without Liam MacCarthy. Most of us must do without. Only one panel gets hold of that piece of silverware. And while it’s very hard to take, especially after putting in so much effort, the reality is that sport has a nature to it where sometimes the ball isn’t hopping for you. So, it becomes about how you react to bad days. If Galway lose a game on a Sunday, most of us need to be up Monday morning for work or college or just every day living. That’s hard going but it can be flipped into the beauty of the GAA. We must learn to deal with that from a very young age but the bigger the game the more defeat hurts and the harder it is to take. Young people can get caught up in it all. As a teacher you can pick out the student with poor body language. Not mixing with others. You can see him or her and I know now that a student’s mental state of mind is just as important as their English poetry. As a teacher you can influence this. From Niall’s perspective, I think he invested his entire life into Galway winning. When it didn’t happen the deflation after exerting every last drop of yourself can be something terrible to handle. But we have to learn to cope with all the effort sometimes not paying off. Down time is important. The work-life-hurling balance can be difficult to find. I’m in my final year now at NUIG but they would be very understanding, you still have to pass the exams, but it’s important to realise that life away from hurling is needed too. That’s hard because hurling was life growing up! I switch off from time to time. I took two or three days after the Leinster final. The club championship is over by November so that frees up two months to clear the head until January when we go again. Some players would prefer not to switch off, certainly not entirely, so it’s about finding what works for yourself. 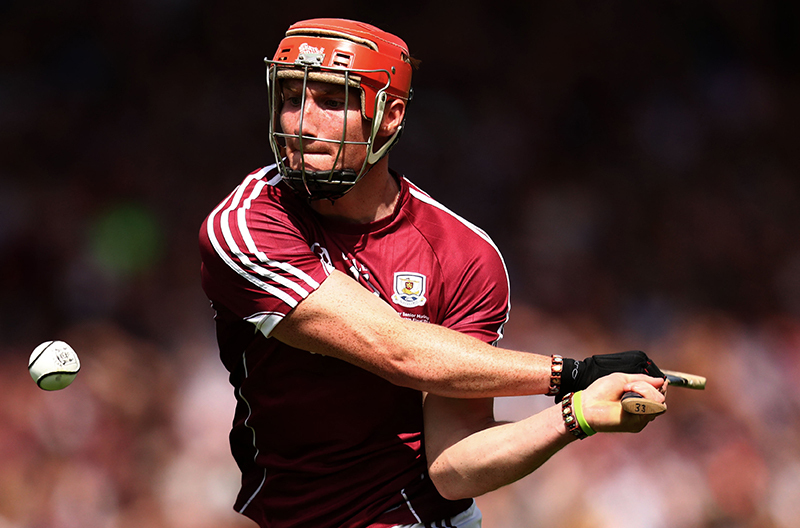 But hurling for Galway, in high summer, is a real joy. Just being part of something special and contributing as best you can. That can’t last forever. There is not a day that goes by when I don’t look up and express how extremely grateful I am for the life I have at the moment. Many a young lad would cut off his left arm to hurl in my boots rather than head off travelling or working in America for the summer. The far away hills are always greener. I am enjoying the moment. We play because we enjoy the game. You never want that to get too far from your mind. Playing for your county brings the best days of your life. You don’t need to be bogged down by fear or pressure. Of course, there is a responsibility to represent your county to the best of your ability. Inter-county players really do have influence. Niall, as my older cousin, was naturally a hero of mine but he was also a special talent. So many people have taken their own lives and while it is very sad that it took someone like Niall to create awareness, a positive can come from it. I know people are saying ‘Jeez, this is a lad who played in an All-Ireland final, he’d the world at his feet, absolutely gifted hurler – tall, strong, fast…’ and then this happens. It just shows there are hidden sides to people, behind that smile, despite that loud laugh. When we take off the helmet there is another world, another life happening away from training and matches. We all have struggles. Losing Niall remains a devastating blow to the family, but we hope that talking about him can help others. Or maybe just one person. I hope that one person who is suffering reads about Niall’s suicide and knows they can talk about what they are feeling. People see similarities in how I hurl to Niall’s style. I have ginger hair too so that’s more than likely the main reason (!) while he was very well built and fast, both traits get associated with me from time to time but when people draw comparisons to how we play I just see the massive compliment, and it might be something people need to do. That’s ok too. While also, I am conscious that I’m my own person, trying to carve out my own path in the maroon and white. That’s all I can do. If you are affected by any of the issues raised in this story you can contact Pieta House at 1800 247 247, Samaritans Ireland at 116 123 or Aware at 1800 80 48 48.